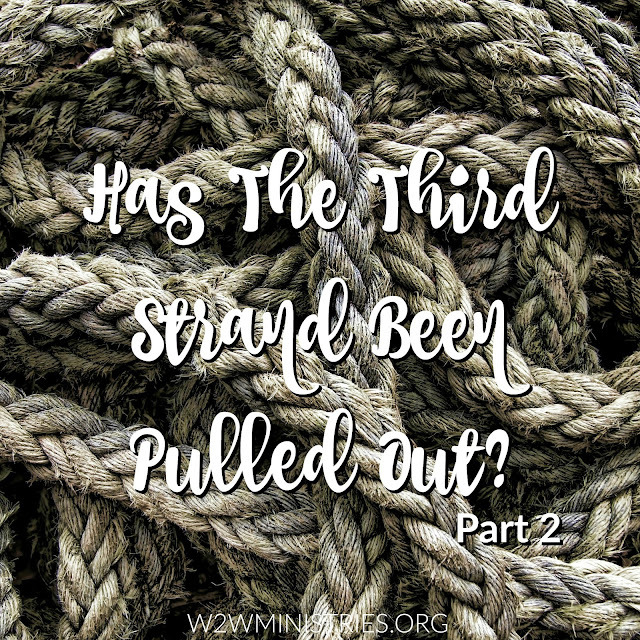 Last week we talked about keeping the third strand, God, in the braid of your marriage. We talked about how God as the third strand is vital to the marriage, even life saving. But how can we add Him? How can you add God in your braid? Pray every single day for your marriage. Pray that God would help you to be the wife He has called you to be. Pray that God would help your husband to be the husband He has called him to be. Pray that you and your husband would place God at the center and seek Him in all ways. Pray on your own. Pray together. Ask your husband to pray for you. Ask your husband how you can pray for him. Pray, pray and pray some more. You should be reading God's Word every day. The Word is God's instruction manual for not only life, but for our marriages. Read the Word, study the Word, pray the Word. Talk to your husband about reading the Bible together [this is in addition to your own personal reading]. If he agrees, read together at least a couple of times a week. If he is hesitant, instead of reading together, discuss what you each read on your own time. This can bring some incredible discussions and will add a new depth to your intimacy. Make attending church as a couple/family important. Don't skip church just because. As a matter of fact, the only legitimate reason to skip church is for illness, but that's another blog post! Go to church together, worship together, learn together, fellowship together, serve together. Be intentional. Praying, getting into the Word, and getting into church are just three ways to put God back into your braid. What are other ways you can add God into your marriage braid? Share your own experiences and ideas in the comments.